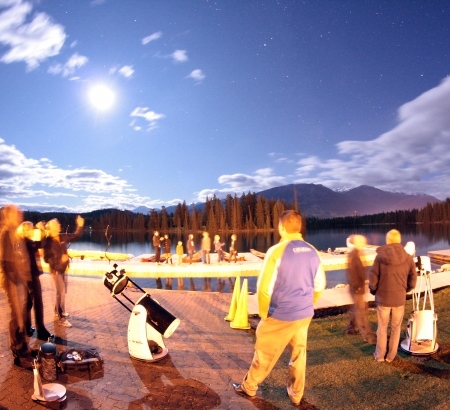 Not including the October 12-14 Dark Sky Festival, there are dozens of other astronomy evening amphitheatre talks, daytime sun and moon observing sessions, and special events in Jasper National Park. Here’s your guide to each and every one in 2012. 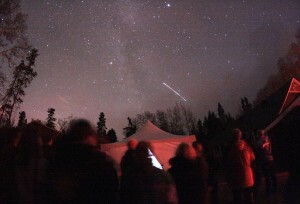 Back by popular-demand, the world’s biggest astronomy park will host a world-class slate of presenters, special art and food-based events, stargazing opportunities, experiences for kids, and how-to sessions for budding polar-fleece stargazers, October 12-14, 2012. 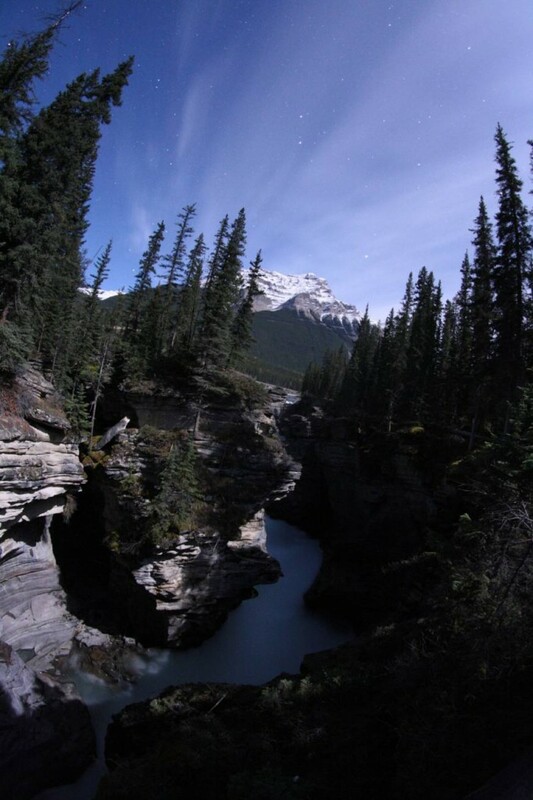 I wrote a cover story last year as Jasper’s DSP designation was completed, and Yuichi provided the photos – We had a blast travelling through the Jasper front and back-country in July 2010 to research this love letter to the Disney World of dark sky preserves. You can read it, here. 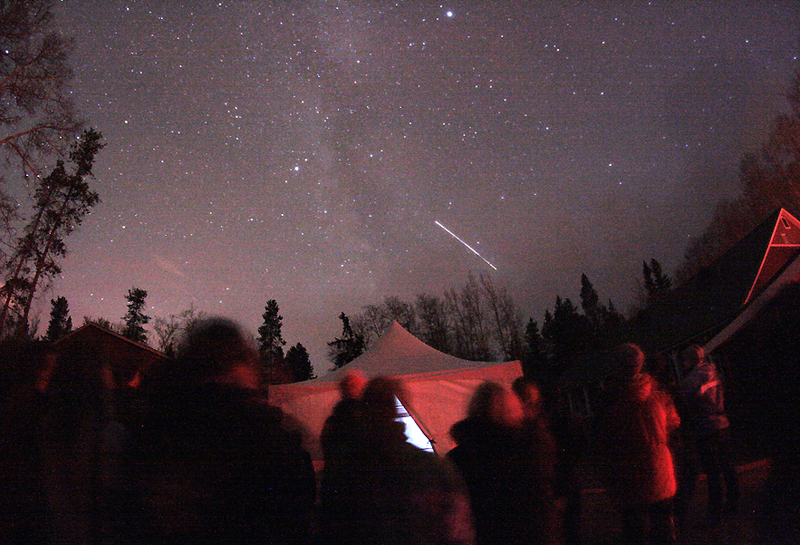 Photos from Jasper and the Dark Sky Festival, here. 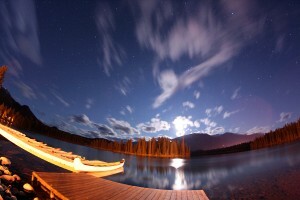 AND Yuichi’s incredible HD time-lapse videos from Jasper, here. 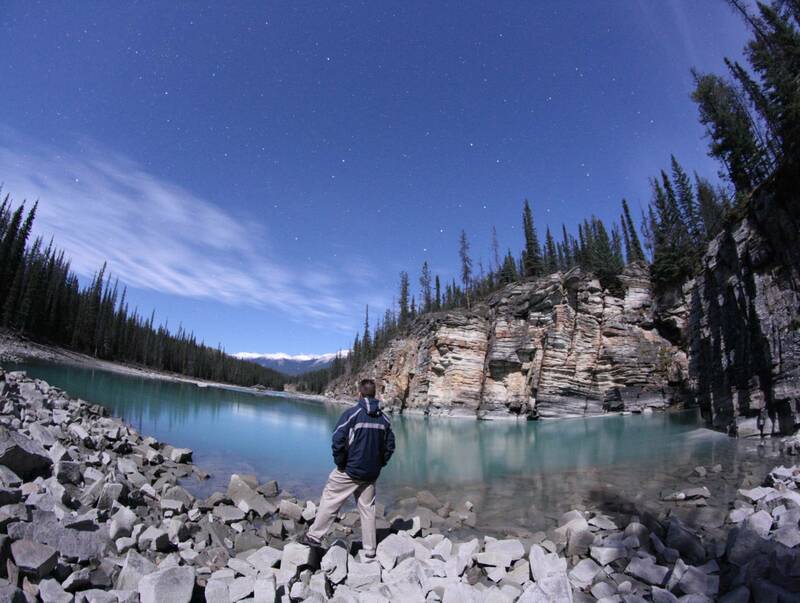 Numerous hotels in Jasper will offer special Dark Sky Festival specials in October. Meanwhile, the Fairmont Jasper Park Lodge (whose canoe docks are pictured under the full moon, at right) now offers a year-round astronomy package. Next Next post: All-hail the Saturday Supermoon!